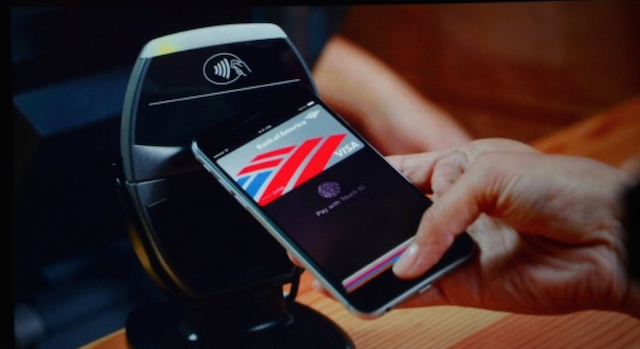 At a media event today, Apple announced its new mobile payment solution called Apple Pay. 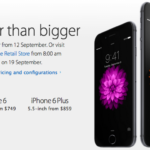 The company’s new payment system uses the Touch ID fingerprint sensor, a new “Secure Element” feature, and the built-in NFC chip on the new iPhone 6 and iPhone 6 Plus, in conjunction with a credit card stored on iTunes. Apple Pay will be available in the U.S. starting next month and will be compatible with Visa, Mastercard, American Express, and a few other partners. The company will also launch a new Apple Pay API which will allow developers to integrate the new mobile payments system into their own applications. At launch, Apple claims that their new payment system will work at over 220,000 retails stores within the United States, including Nike, Macy’s, and Walgreens. The company says it is working “very hard” to expand the payments system to other countries including Canada, however, we currently do not have any specific timeframe.